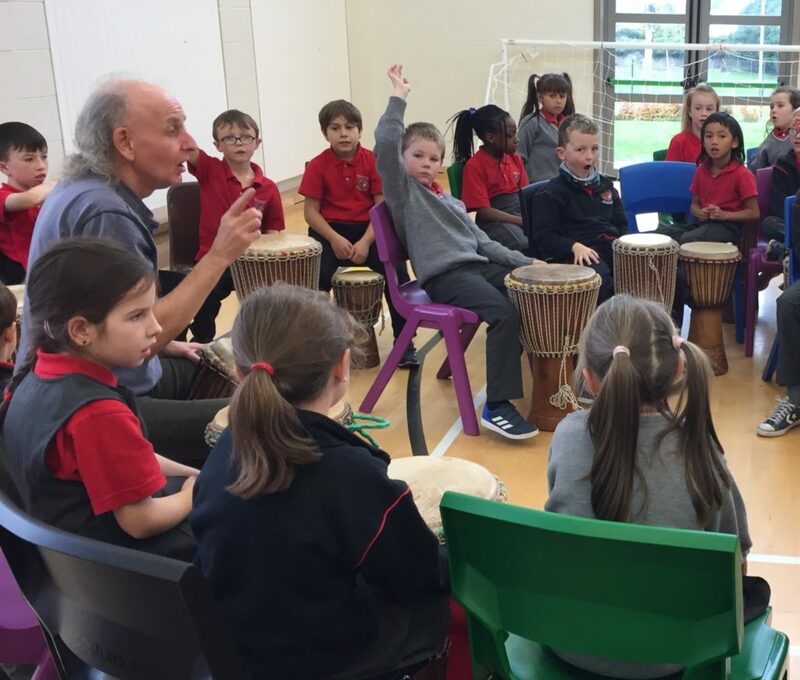 Day 4 began with the arrival of internationally known drumming circle specialist John Bowker with a van full of drums. 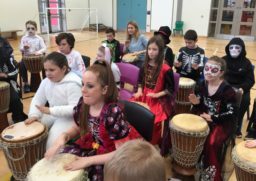 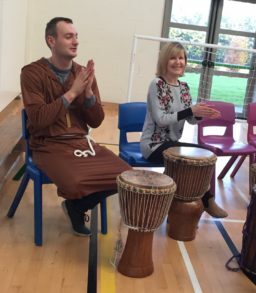 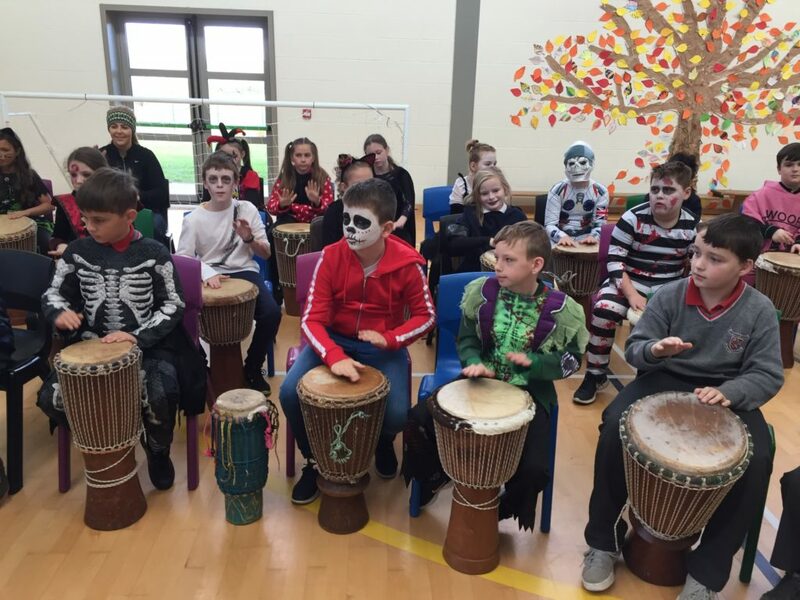 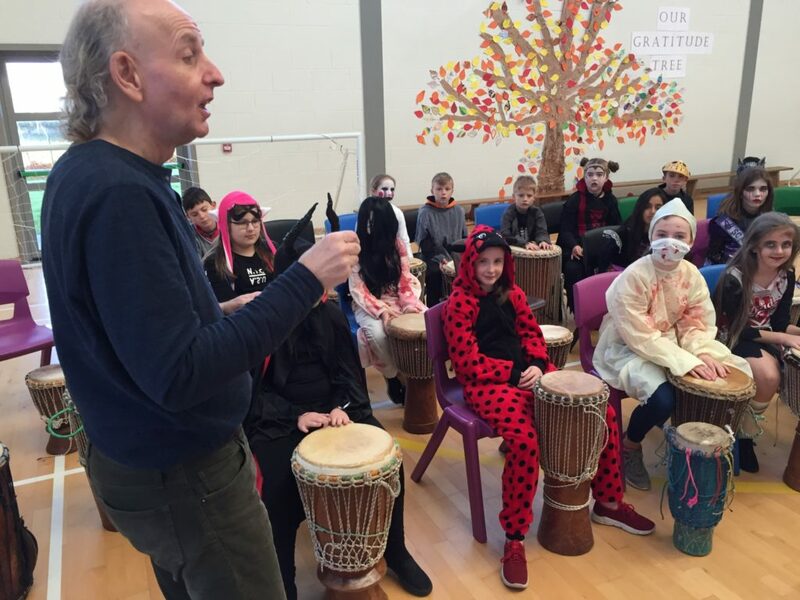 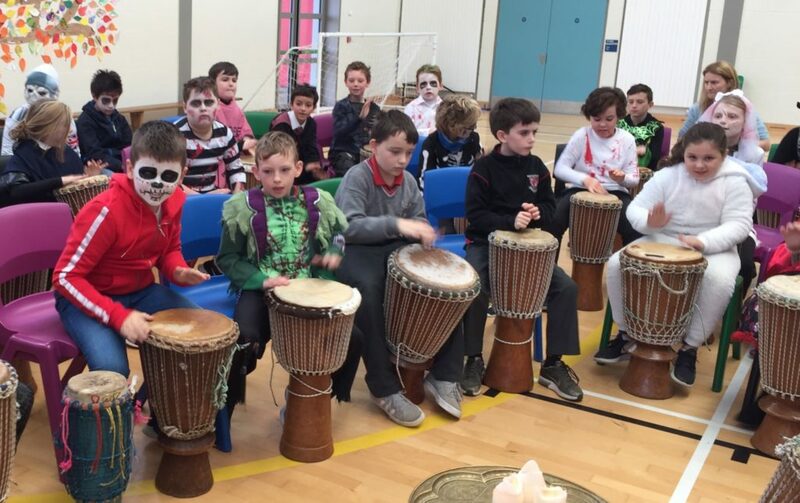 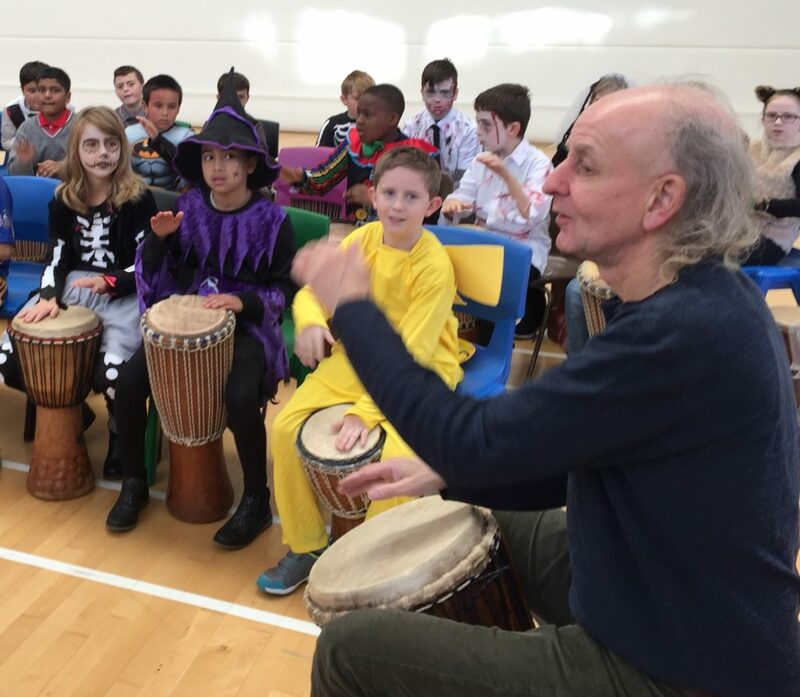 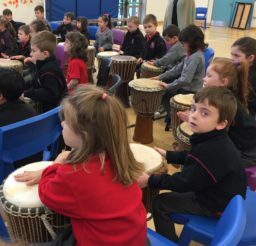 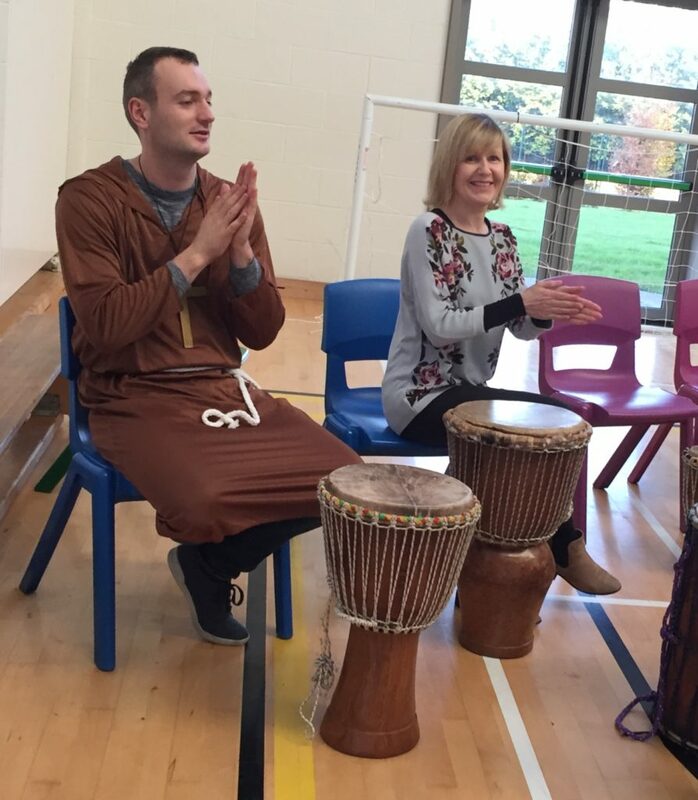 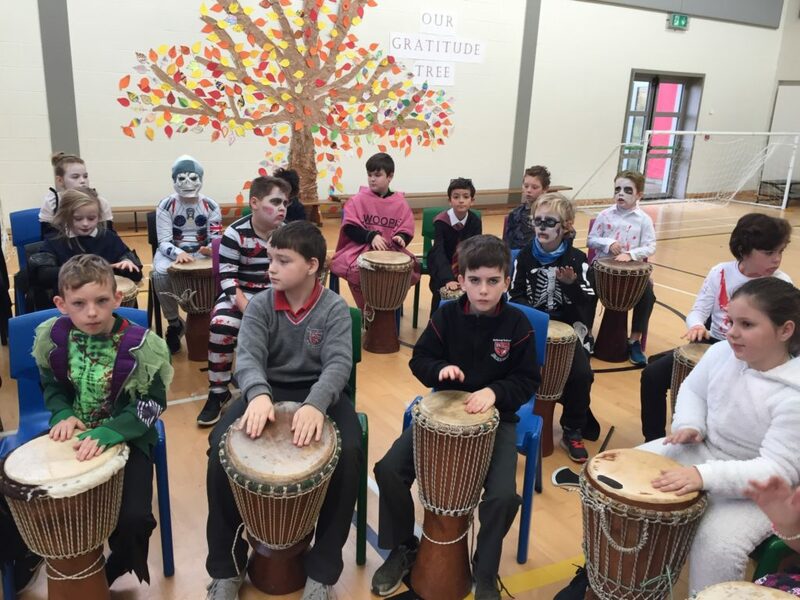 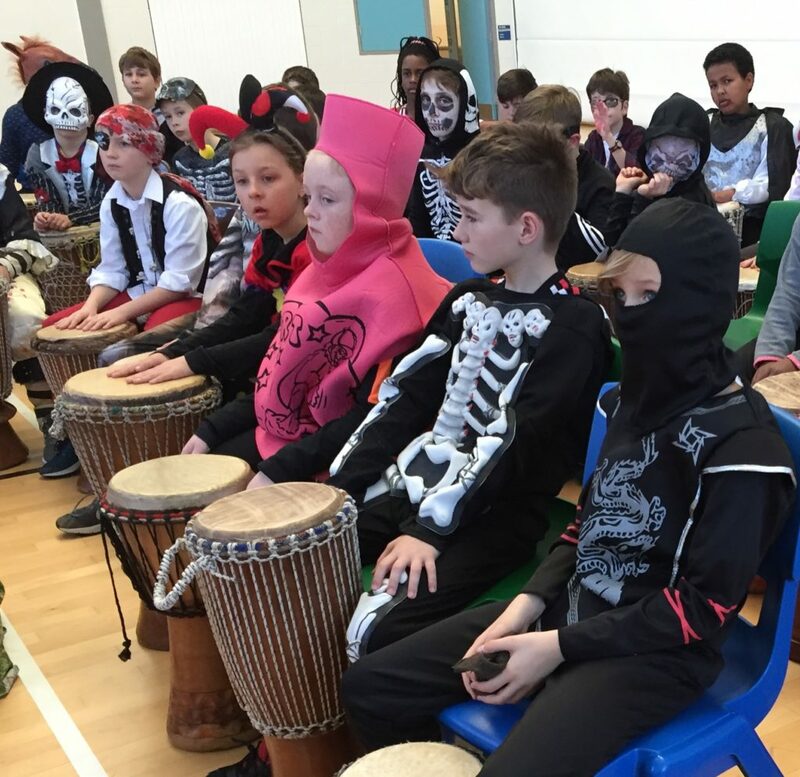 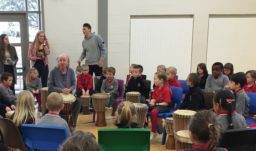 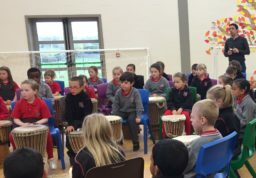 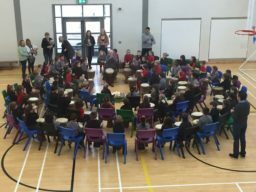 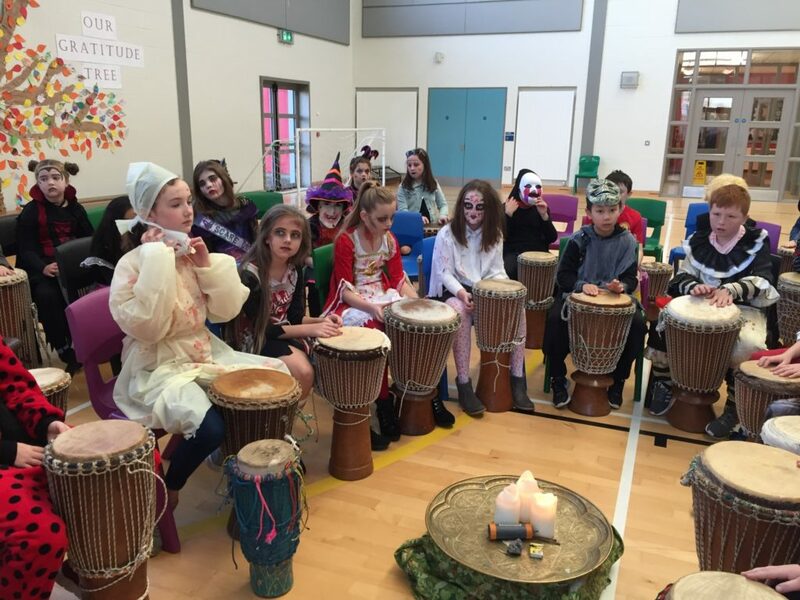 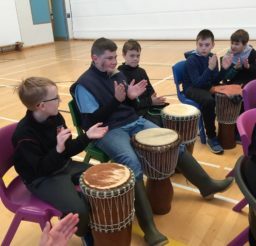 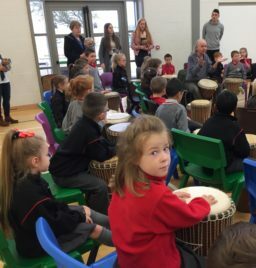 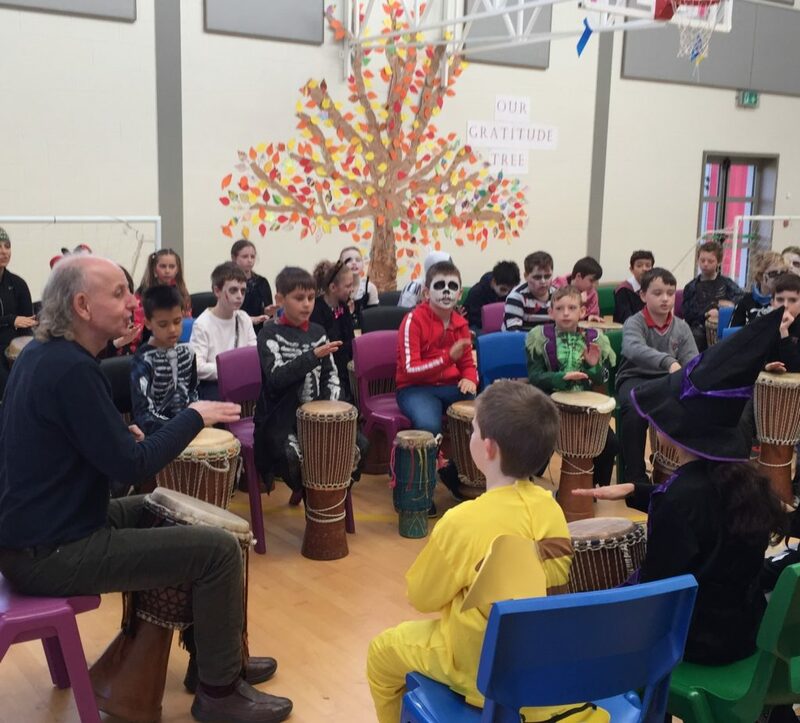 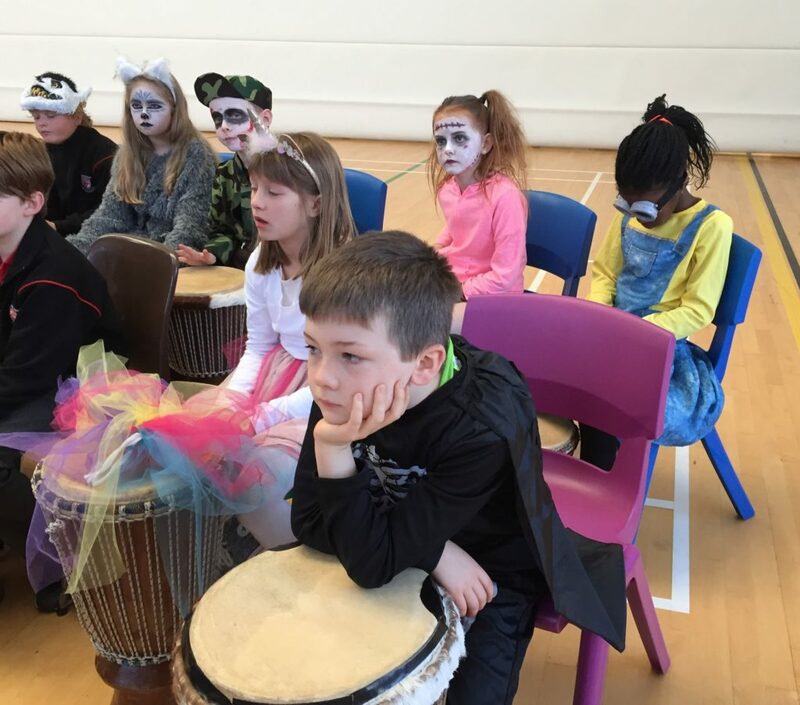 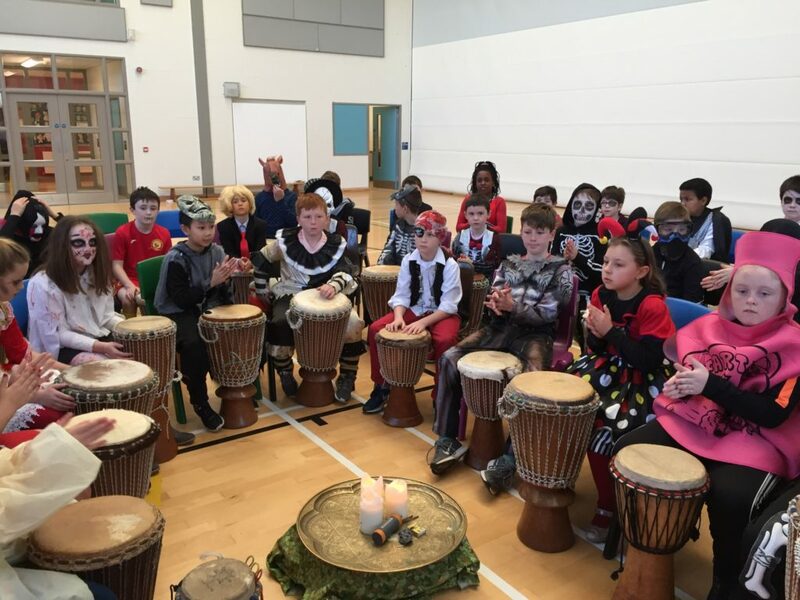 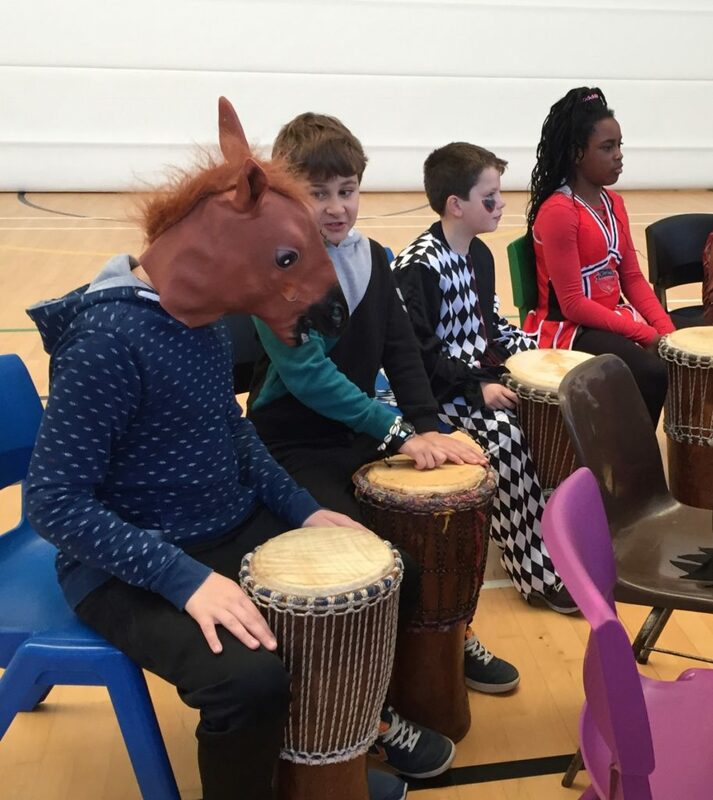 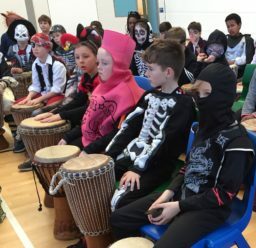 Every class in the school had the opportunity to experience a drumming session with their classmates during Thursday or Friday. 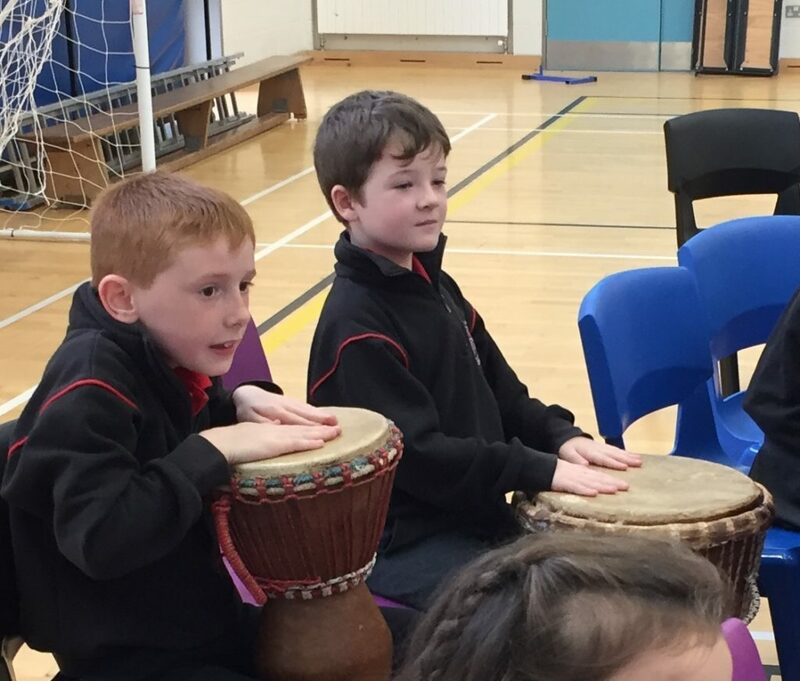 Fabulous rhythms were heard emanating from the Hall all day long. 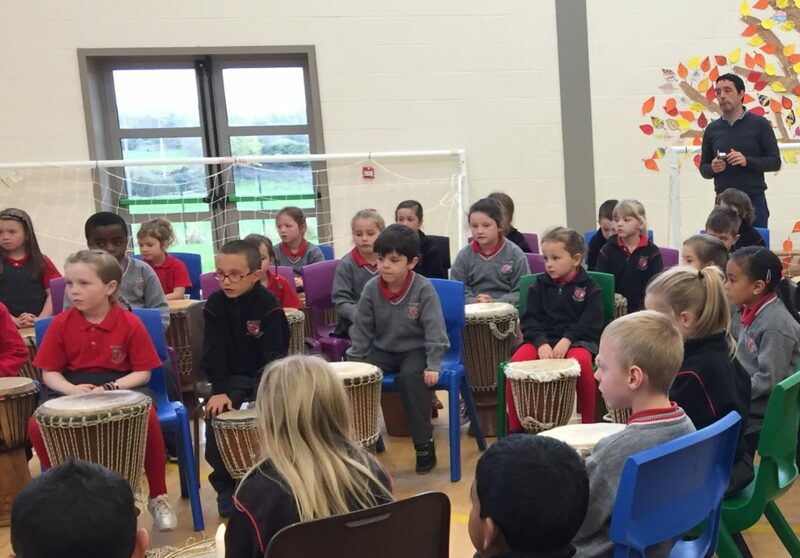 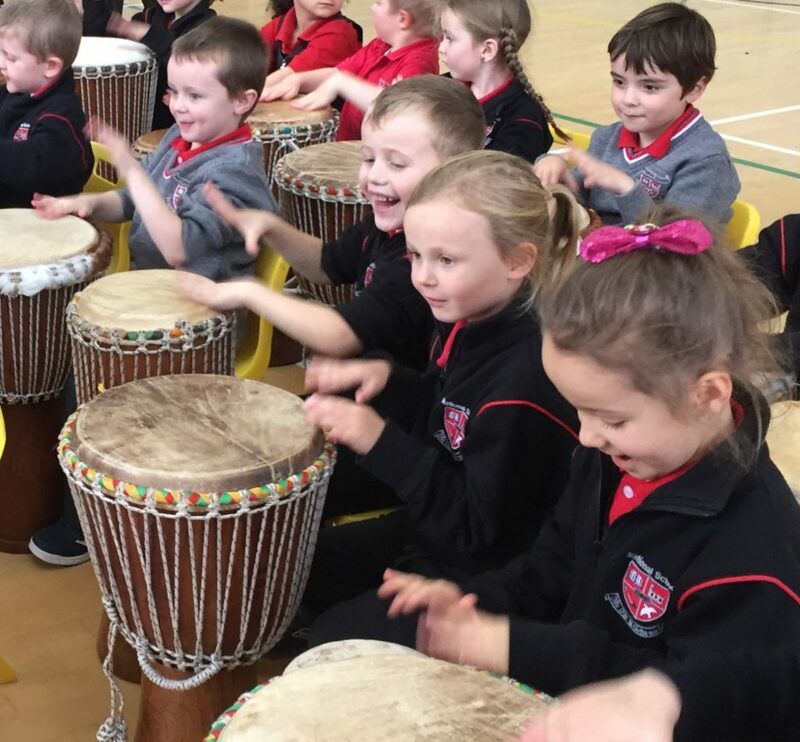 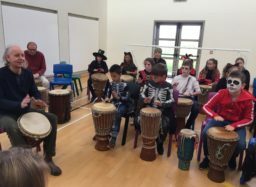 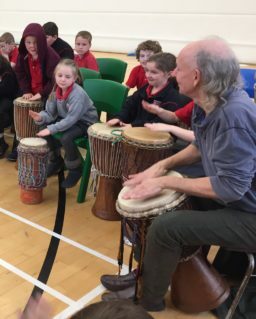 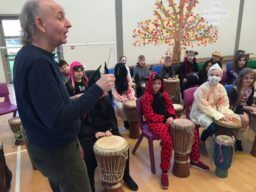 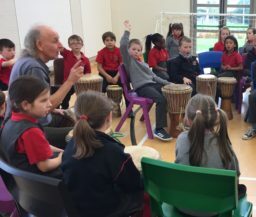 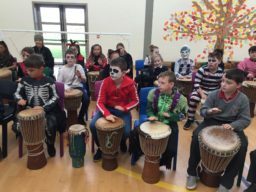 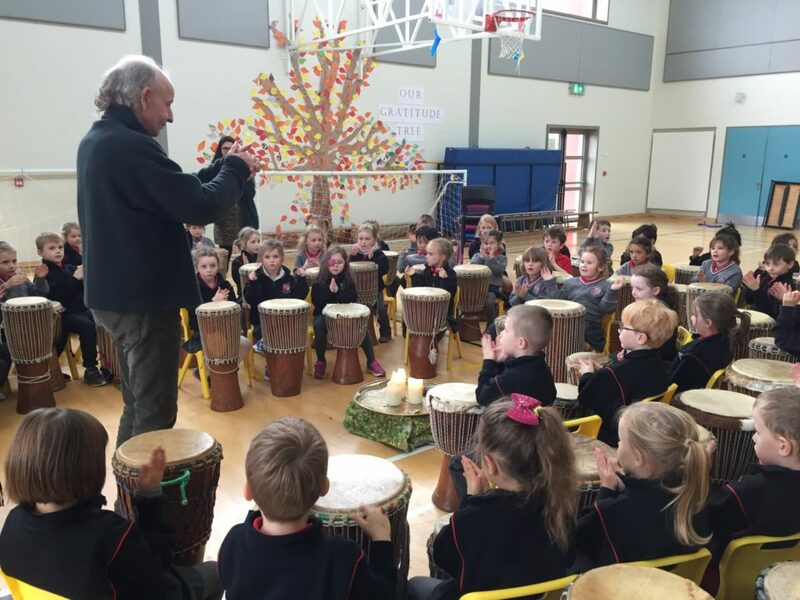 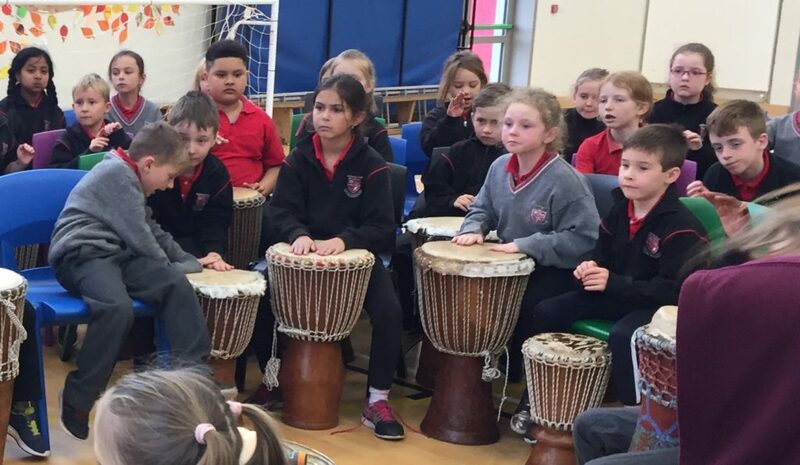 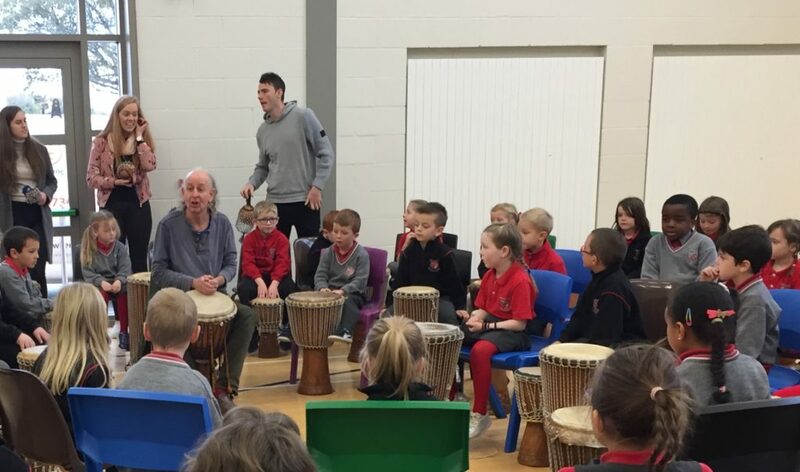 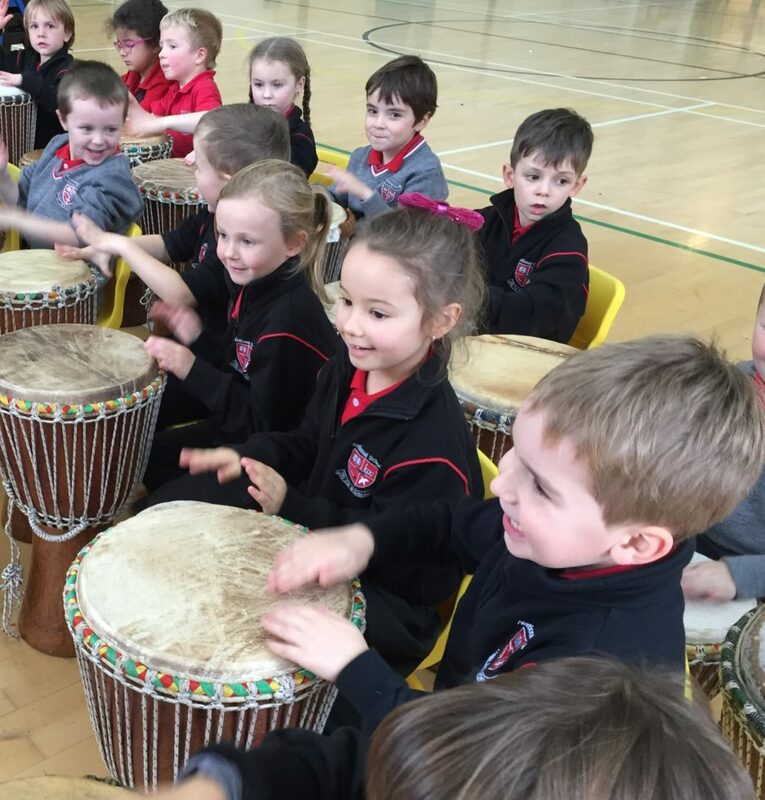 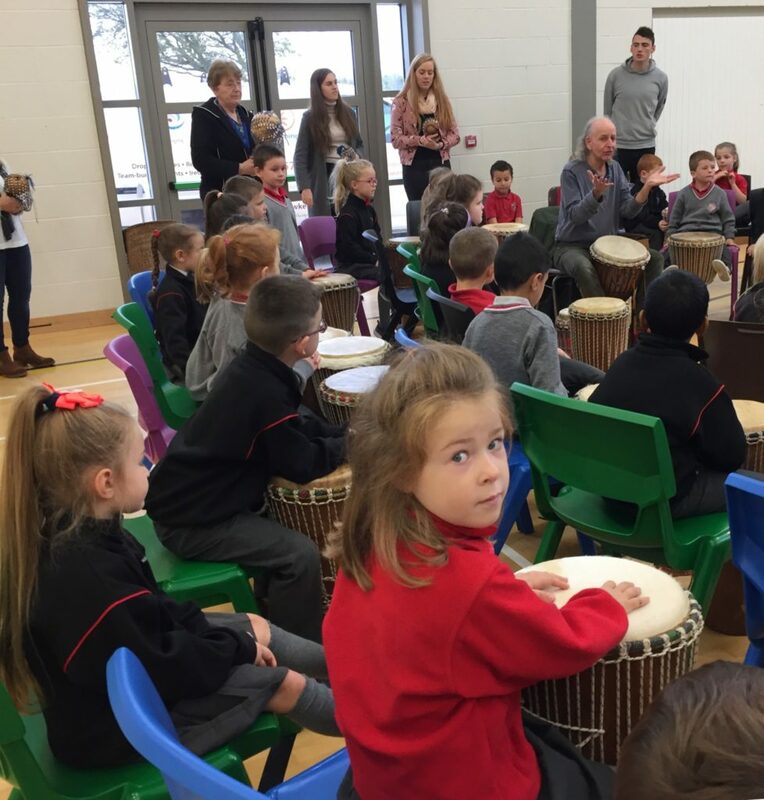 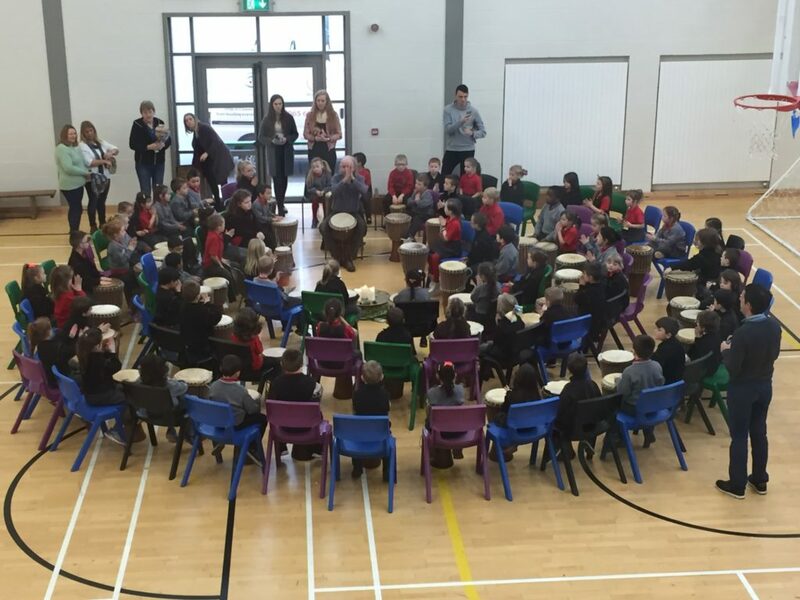 Drumming helps children to develop focus and to connect with others in a satisfying way. 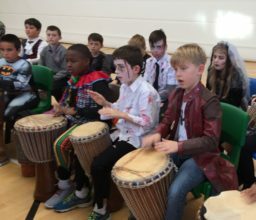 The rhythms also have a calming effect. 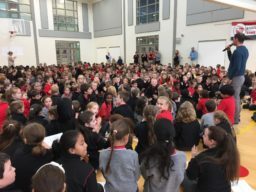 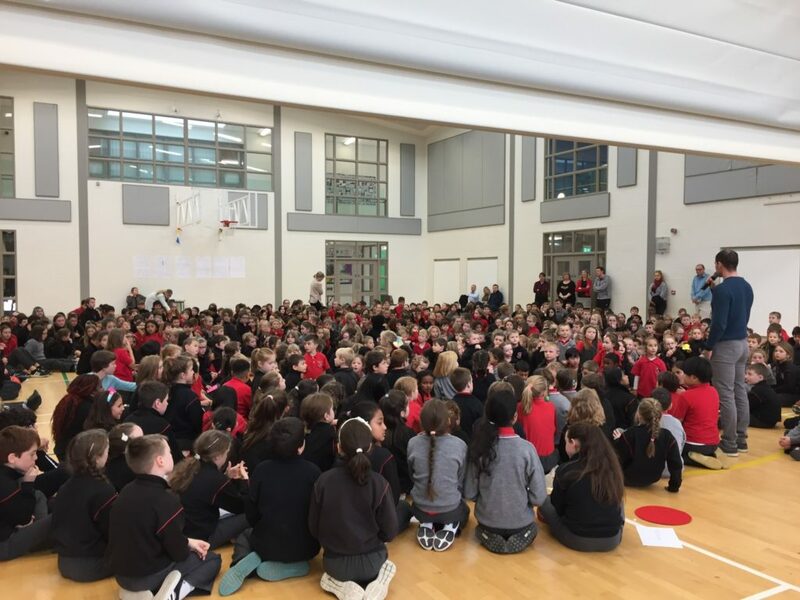 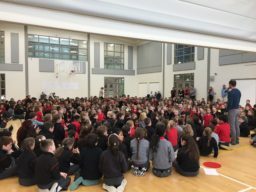 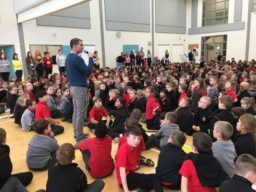 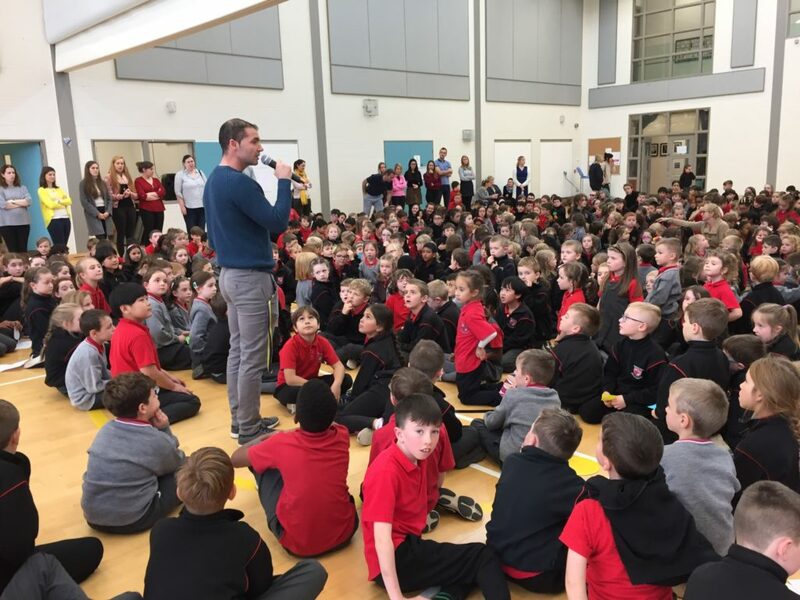 The big event of the day was our Circle of Friends at 12.0o when the entire school gathered in the Hall. 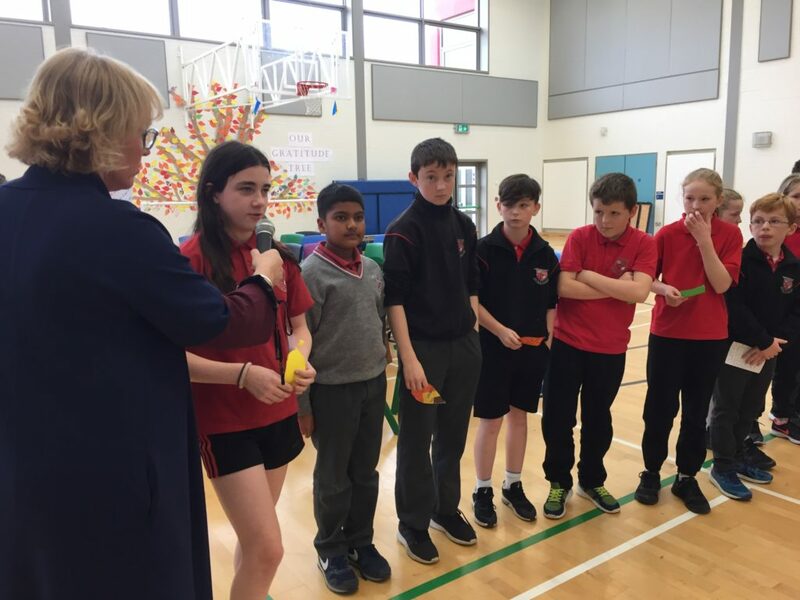 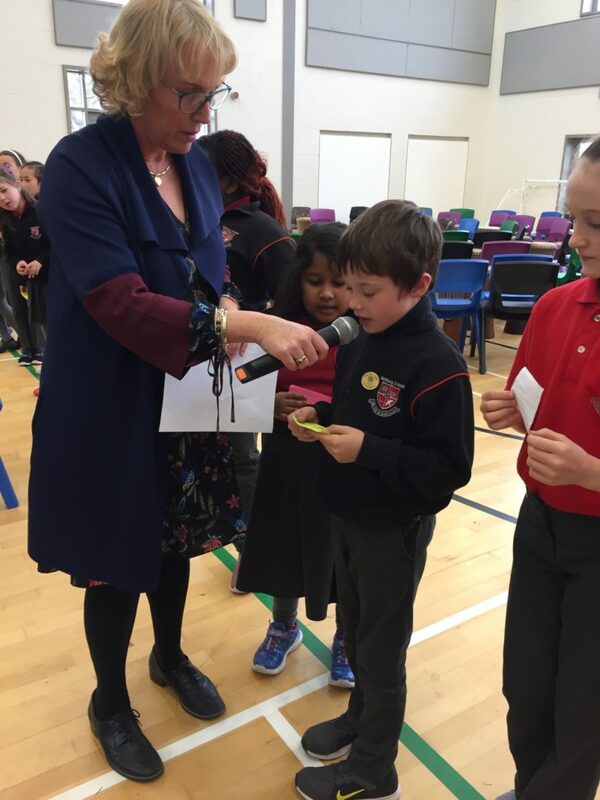 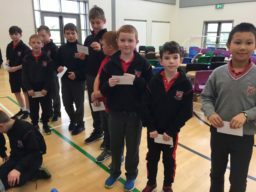 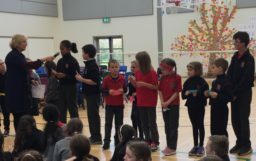 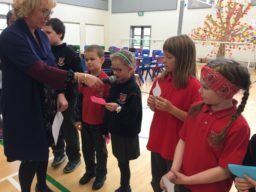 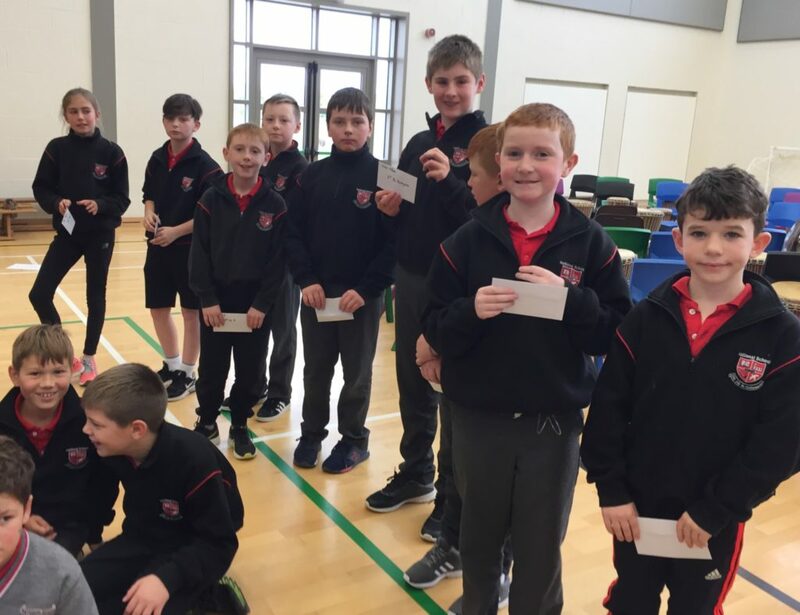 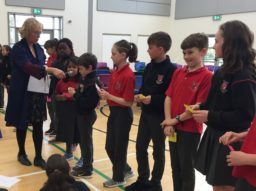 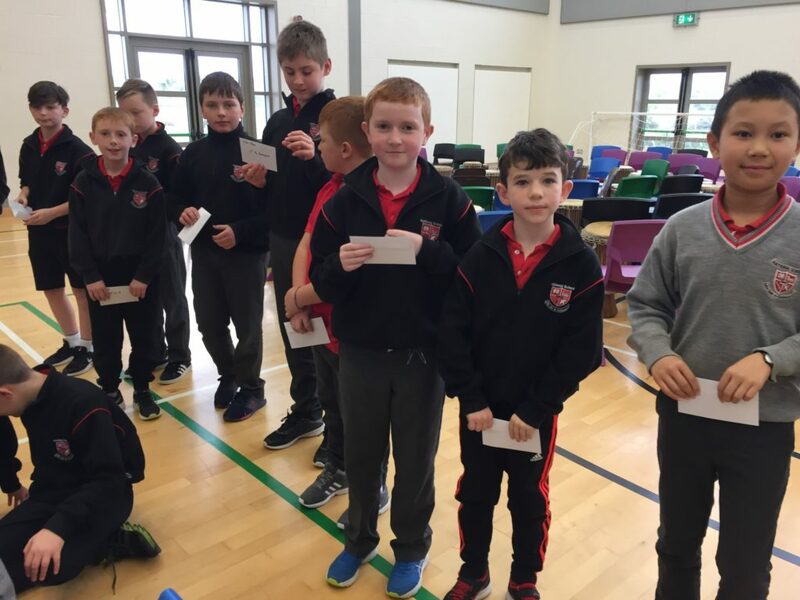 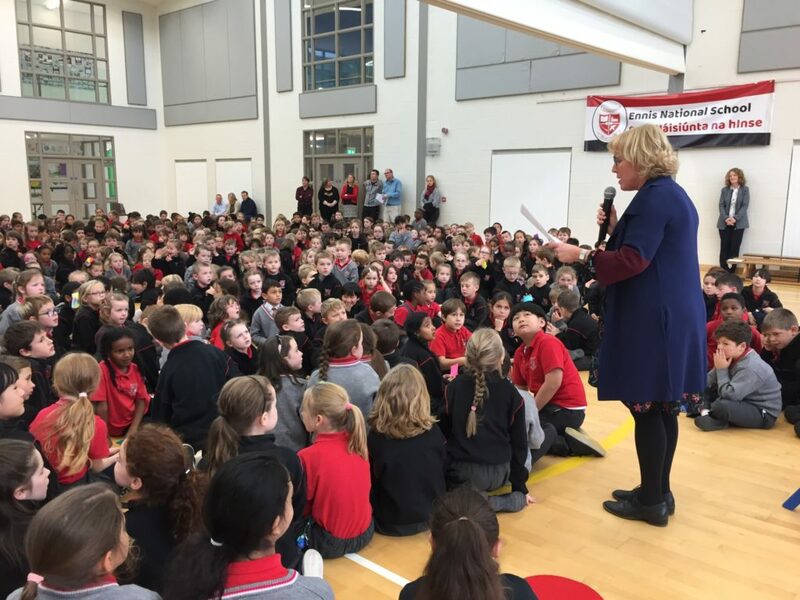 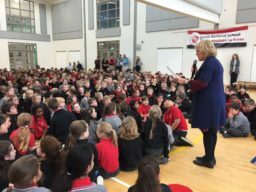 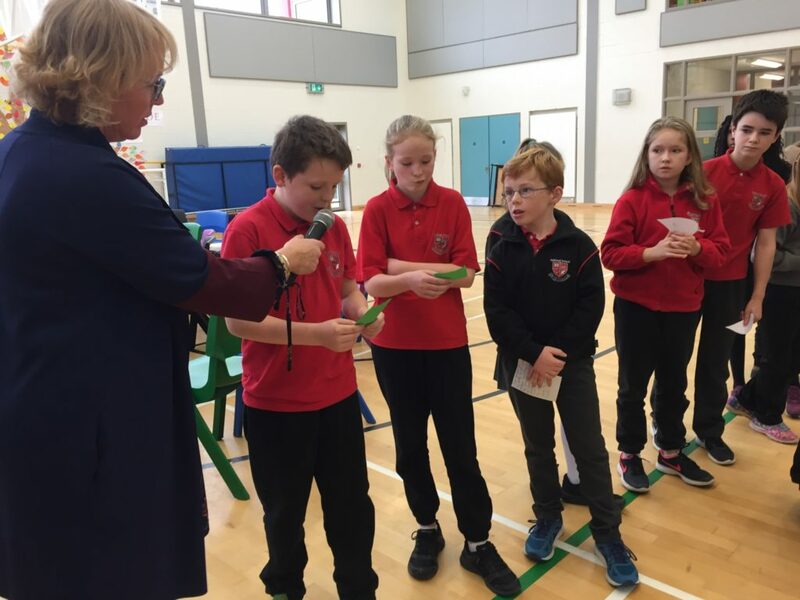 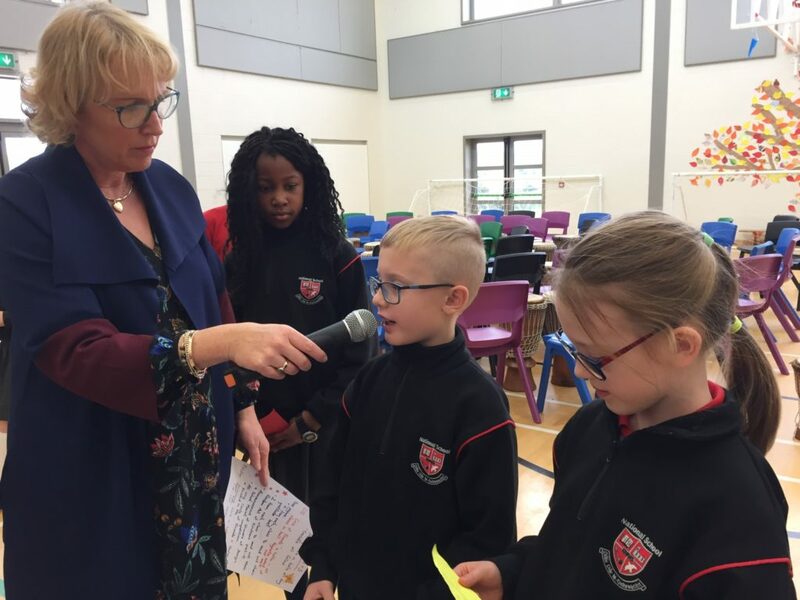 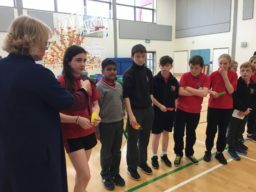 Pupils from each class read out their Gratitude leaves and their Random Acts of Kindness notes. 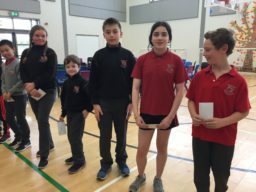 Winners of the Design a School Mascot were announced . 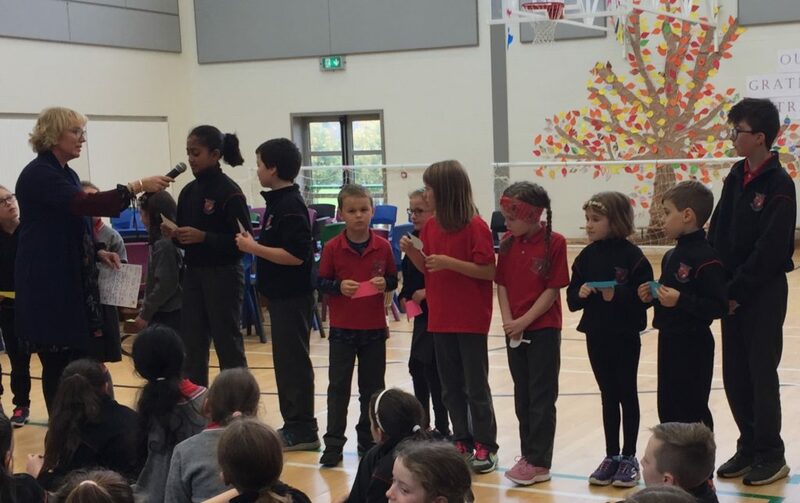 We all sang Circle of Friends and You’ve Got a Friend in Me. 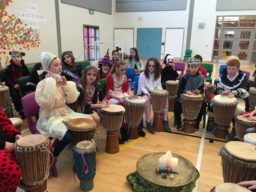 It was a wonderful whole-school occasion.